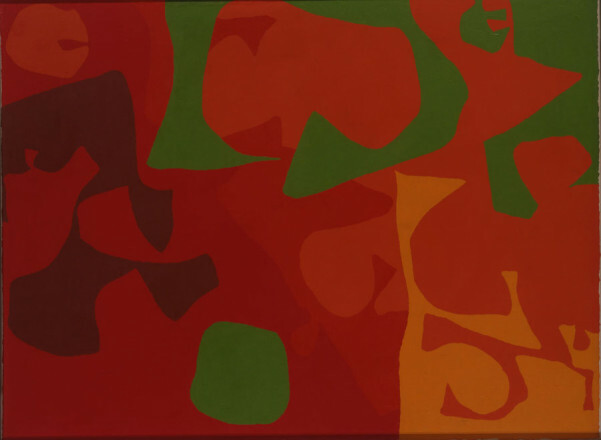 VERY COMPLICATED REDS WITH EMERALD AND ORANGE : 1971 - 1973 1971/73 Patrick Heron (1920 – 1999)	P3112 © The Estate of Patrick Heron. All rights reserved, DACS 2015. 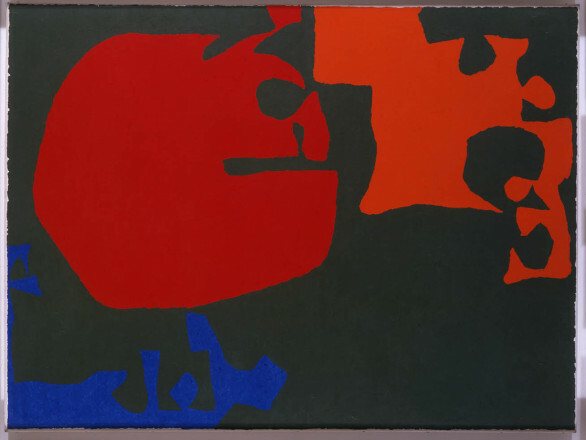 RED, SCARLET, CERULEUN AND DULL GREEN : 1971 - FEBRUARY 1975 1971-75 Patrick Heron (1920 – 1999)	P2328 © The Estate of Patrick Heron. All rights reserved, DACS 2015. Three abstract painters, spanning three generations of art, tied by a shared concern: how can an initial, decisive act define the final work? For each artist, works begin rapidly, spontaneously, but are ‘completed’ through various labour-intensive painting processes. This exhibition contrasts Patrick Heron, one of Britain’s greatest 20th century artists, with American artist Jonathan Lasker, internationally successful since the 1980s and rising star Katie Pratt who, in 2001, was the youngest ever recipient of the Jerwood Prize, the UK’s most prestigious painting prize.